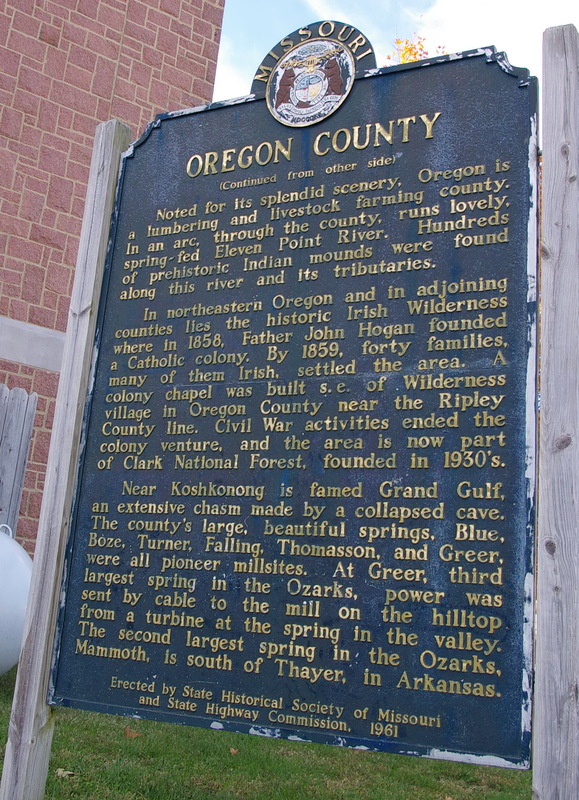 Oregon County is named for the Oregon Territory in the western United States. 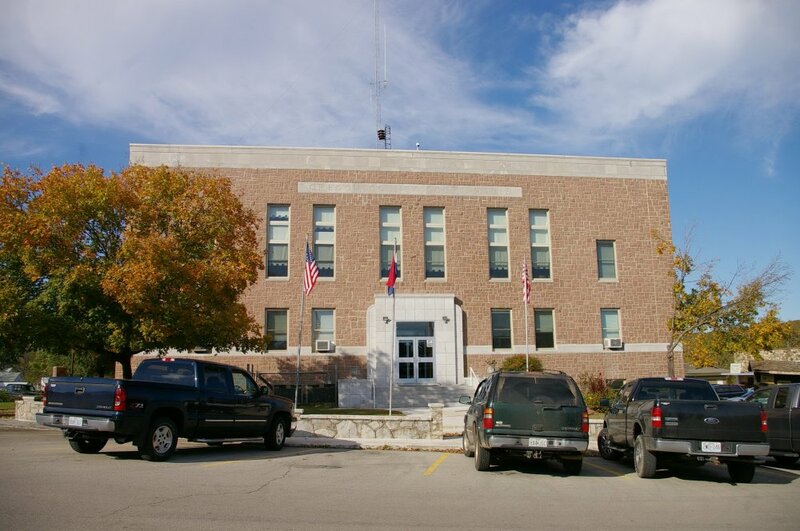 Description: The building faces north and is a three story red colored Ironton granite and concrete structure. The north front has a central entrance which is framed with stone. 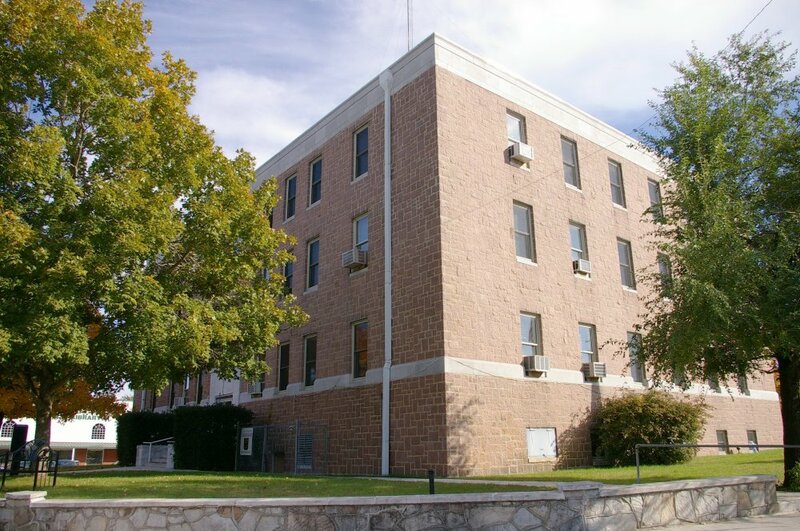 A horizontal band of stone runs below the first story windows. A band of stone runs along the roof line. This was a Work Projects Administration project ( WPA ). An addition was constructed in 1996. 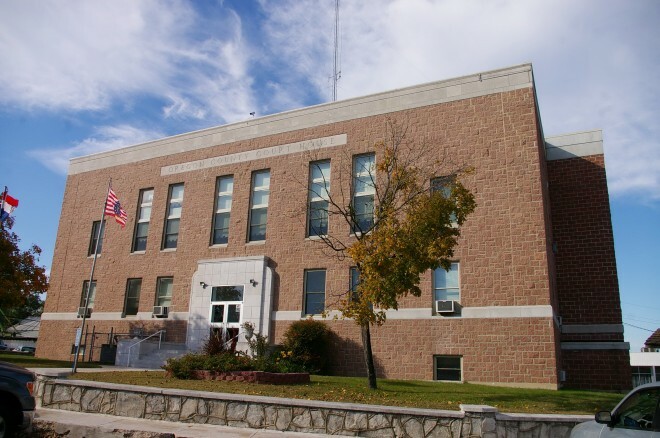 Note: The first courthouse was built in Thomasville in 1847 with John R Woodside serving as superintendent. 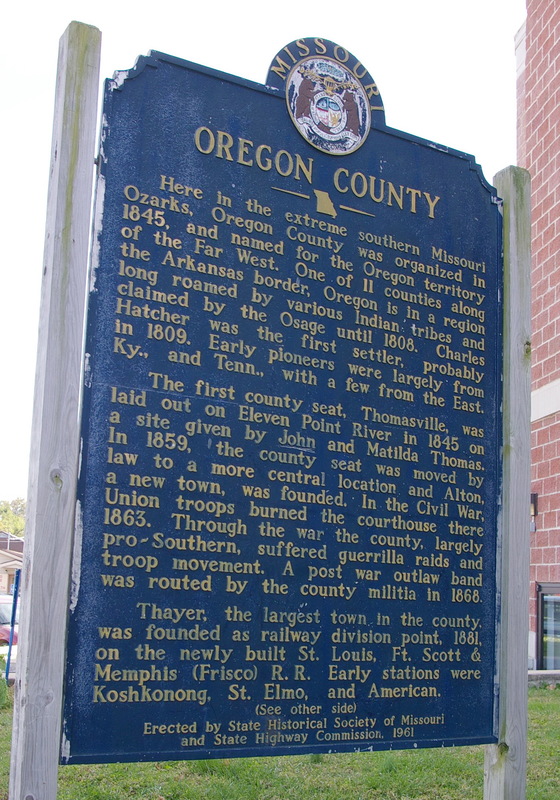 The second courthouse was built by G W Reed in Alton in 1861 at a cost of $4,550 and was destroyed by fire in October 1863. 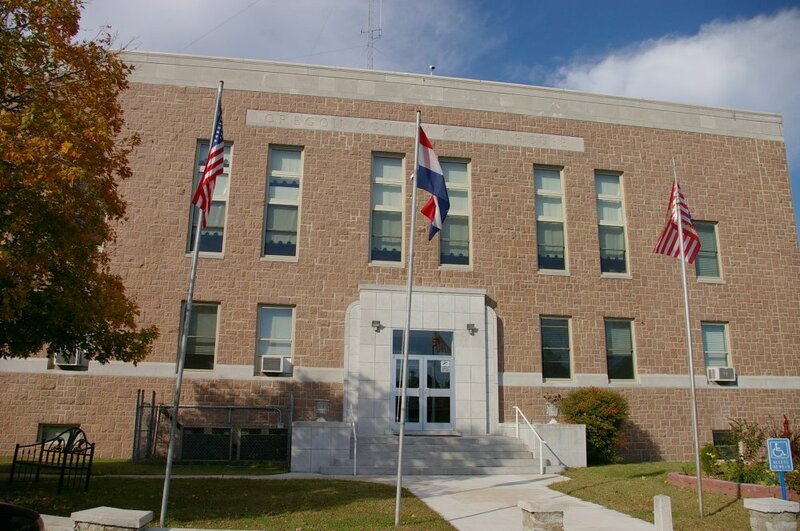 In 1861, the third courthouse was designed by W Harper and in 1871, the rebuilt courthouse was designed by Samuel W. Greer and constructed by J F Kidwell at a cost of $5,795. In 1904, the building was remodeled by W E Wadsworth at a cost of $5,100. The present courthouse was constructed at a cost of $100,000.